Robert Krick, probably the foremost historian today of the Army of Northern Virginia, leads off the book in the Foreword. He discusses the scope of Ray’s book (mostly Lee’s Sharpshooters, but extending into the past and future to give the reader an idea of changing tactics). Krick also argues that Civil War era leaders, despite mistaken perceptions to the contrary today, came up with new tactics to account for the rifled musket. In the new world of the rifled musket, reconnaissance was tougher than ever before. You couldn’t simply walk up to a position just out of range of smoothbore muskets any more. New methods were needed to see what the enemy was about. Hence readers are introduced to the Civil War era meaning of the term “sharpshooter”. Sharpshooters in the 1860’s “were light infantrymen designated and trained for duty as advance guards, pickets, scouts, and skirmishers.” Lee was adept at the us of skirmishers, says Krick. Chancellorsville stands out as a particularly striking case. In a surprise to me, Krick announces that up until even a few years ago, he believed that the sharpshooters first came about some time in early 1864 as a result of three years of hard fighting. If this prominent historian did not even know about the development of the sharpshooters, clearly this subject needed a book to be written about it in the worst way! Author Fred Ray sets out to do this in Shock Troops of the Confederacy. Two characters who are key to this story include Major Eugene Blackford, the first leader of a sharpshooter battalion, and General Robert E. Rodes, the excellent (and Krick would add underrated) division commander under whose supervision the sharpshooter project got off the ground. How lucky for the Civil War buff that Fred Ray’s ancestor just happened to be in a Confederate sharpshooter battalion! His initial research into that ancestor led directly to this book. As the author points out, very few book have been written on the sharpshooters since the end of the war, and literally none have dealt specifically with the subject for over one hundred years. 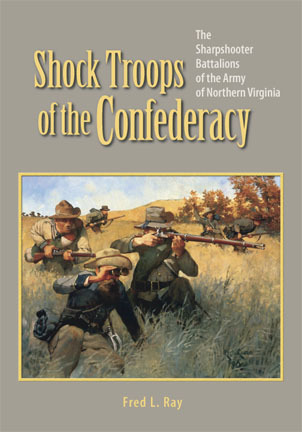 Although Berdan’s Sharpshooters may be the more famous group, Ray argues that the Southern version impacted the war in a much greater way, and hints at this early stage of the book that the Confederates were experimenting with tactics in the 1860’s that would be standard operating procedure in World War I. 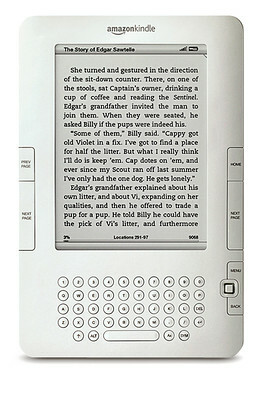 The author explains in more detail the scope of the book. He focuses on the Army of Northern Virginia, but mentions that the Army of Tennessee also had effective sharpshooter battalions as well, mainly focused in Cleburne’s Division. The range of history covered ranges from the first use of light infantry in the 1750’s to the German Sturmtruppen of the First World War. 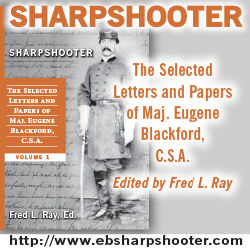 This puts the Civil War era sharpshooters into their historic context and helps the reader see th progression of light infantry tactics over a wider period of time. Ray also mentions the Union sharpshooters, and mentions that he found some late-war units formed specifically to combat the brainchild of Rodes. The focus of the book is on the sharpshooters, often at the expense of other troops who participated in a given point. The author points out that other troops, though they may be ignored for the purposes of this work, often did the decisive fighting. Ray closes the Preface by pointing out that the German term scharfshutzen came long before Christian Sharps created his first American-made rifle in 1850. The distinctions that exist today between snipers and light infantrymen were nonexistent in the 1860’s. Though the water may be muddy, Ray hopes to clear it considerably by the time the reader finishes the book. Look for more to come at worst every Monday. My real-life commitments are slowing down as I have made a concerted effort to not be as tied to too many commitments. Instead, I have the freedom to read a little more often and blog a little more often, and I hope that means I can continue this blog indefinitely. Look for summaries of North & South and Blue & Gray within the next week or so as well as I find the time.